Virgin Trains are looking for the next voice of their onboard talking toilets, heard by over 38 million passengers on the West Coast route. 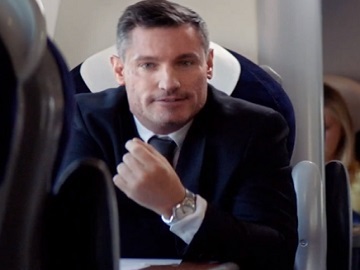 The company has enlisted actor Dean Gaffney to star in a new hilarious advert that promotes the audition process. The EastEnder star is featured on a Virgin train, giving viewers a series of tips on how to excel as an actor. “To become one with the character, it is not enough to simply perform, but to believe.” “To understand the role, you must become the role,” Gaffney says on the 50-second ad, spelling in the meantime the word “toilet” in several different ways. “Auditions are now open to become the new voice of our talking toilets,” an onscreen line read at the end of the spot, which also informs that this toilet role is for customers only. Viewers are then advised to visit the company’s website for a chance to audition. Once selected, five lucky winners from across the UK will take over “the prestigious duty of delivering safety and hygiene messages to toilet occupants, Virgin style”. The closing date is set for Friday 5th April 2019.